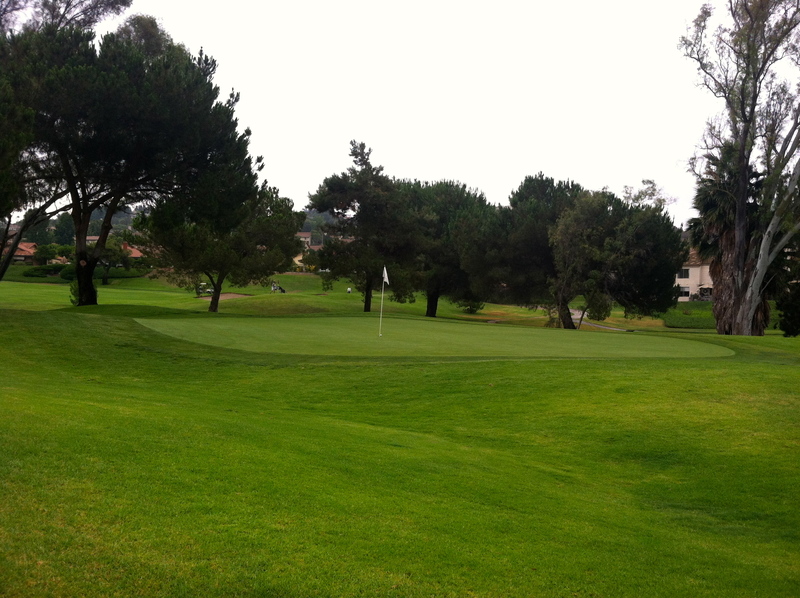 Here is an example of one of the perfectly manicured greens at Oaks North, an executive golf course that Kongo like to play at with Mrs. Kongo. 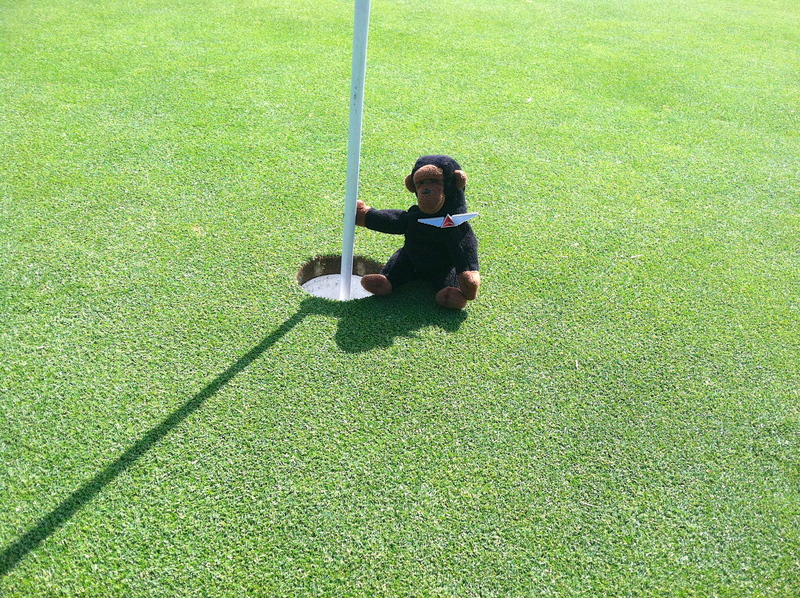 Kongo tends the flag on the green. 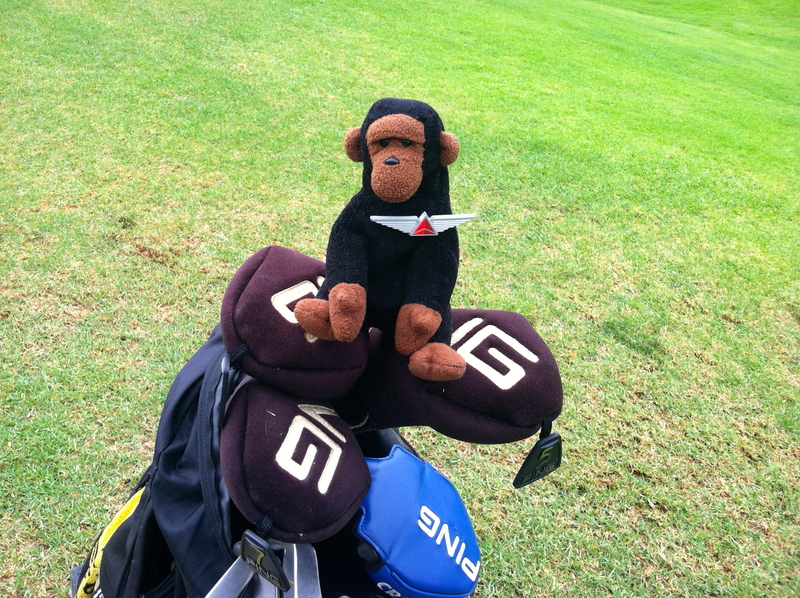 Kongo is a useful little monkey on the golf course. 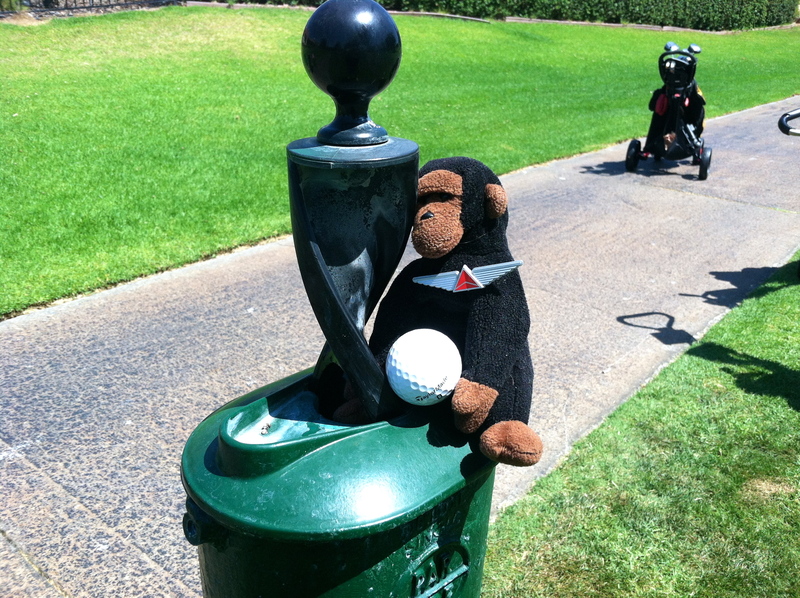 He picks out clubs, tends the flag, washes balls, and always has an extra ball handy for the occasional Mulligan. 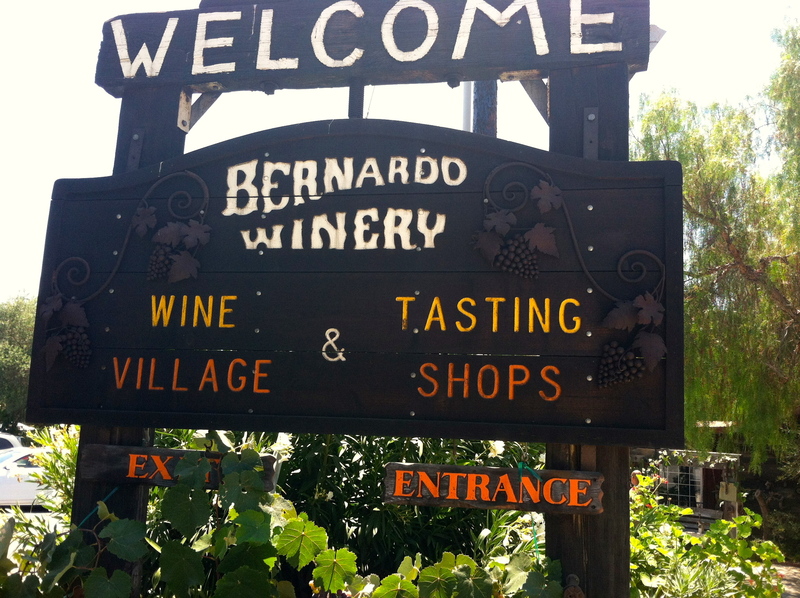 After 18 holes they swing by the Bernardo Winery for a quick bite but the wait was too long so they dropped by the Rancho Bernardo Spa and Inn for Cobb salads and iced tea. 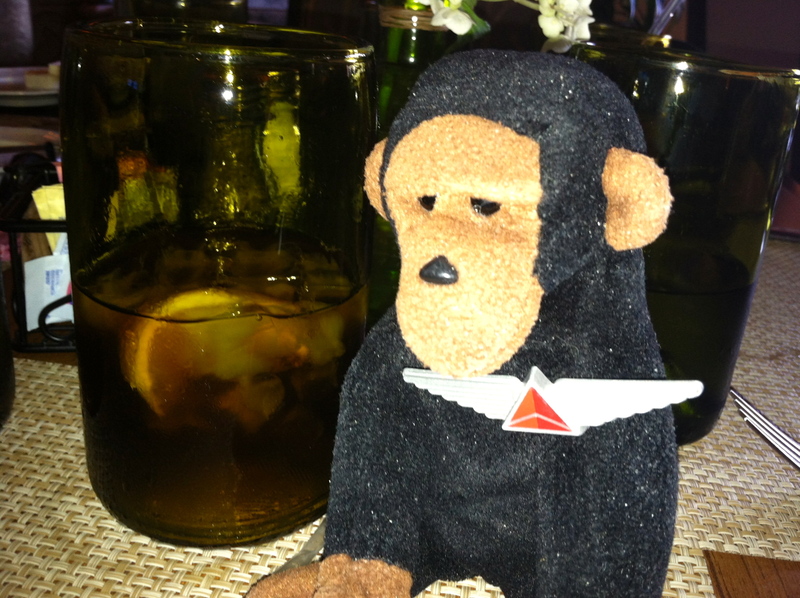 By the way, Betty is also Kongo’s travel agent (his favorite kind of people) and is heading off to Europe with her in September (Budapest, Vienna, Nuremberg, and Prague along with a river cruise up the Danube). Check Betty out here. I think it would be appropriate for Kongo to have an Olympic Gold Medal around his neck after his round of golf. What a wonderful day and so enjoyed playing with the Kongo family. Thanks for the plug! 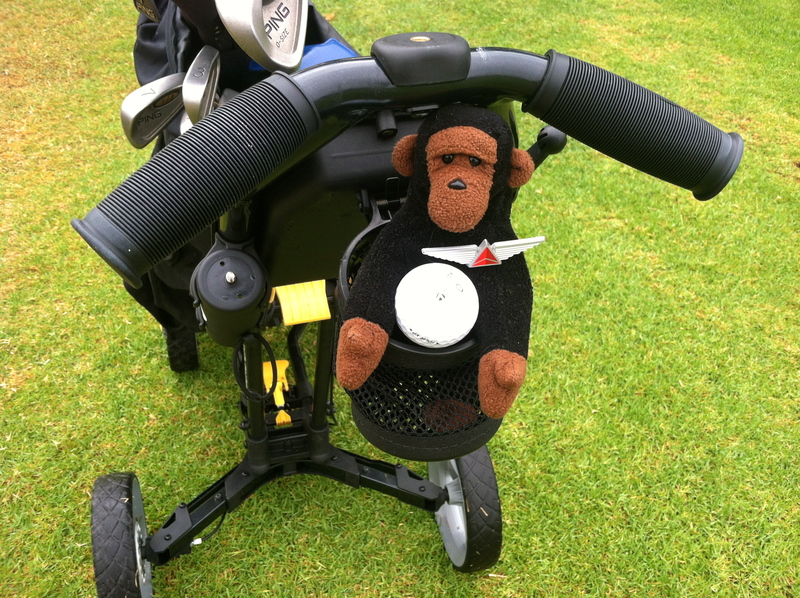 Would Kongo like to take part in the Golf event in the Olympics I wonder? He would win Gold for sure. Go Kongo GO! Monkey has just won gold himself. Not at golf though. That’s your game Kongo! We could have a monkey Olympics! They could do the “monkeys jumping on the bed” competition!